Discover over 2000 surfing spots and follow your favorite to get fresh weather forcast. 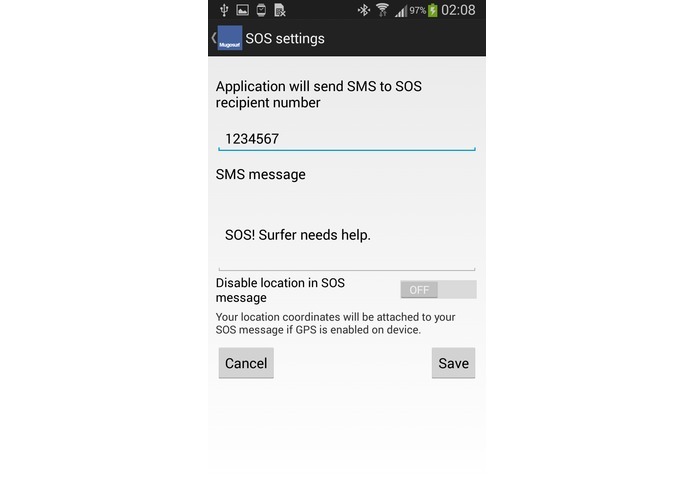 In case you face danger while surfing you can sent SOS message over SMS function with GEO location. MugoSurf is a story about believing in the idea that we are Connected by things we do and love. This is the first step to bring all the surfers Together around one campfire, so please stand by.